What happens to the spine during a car accident? The impact of a crash usually causes the head and neck to jerk forward and backward. The sudden force creates spinal misalignment in the neck and microscopic tearing of attached muscles and ligaments. Because the neck is one of the most nerve-rich areas of your spine, problems here can create problems throughout the body. Why is it important to seek chiropractic treatment for these injuries? 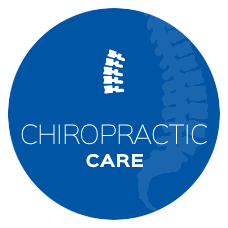 Chiropractic care is invaluable in creating and maintaining spinal correction and healing. This is accomplished through a thorough understanding of spinal biomechanics and successful rehabilitation strategies. 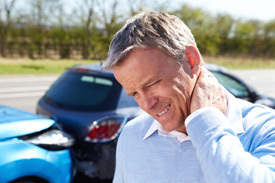 A whopping 50% of auto accident victims experience some form of chronic pain from the day of their accident forward, which is why it’s so vital to be checked as soon as possible. Because of our experience with soft tissue injury and biomechanical trauma, we’ve gained the respect of those in the personal injury community. Once you provide us your insurance and/or attorney information, we’ll verify your coverage and communicate with your legal representative. We’ll also provide your insurance carrier with all necessary billings and updated case information. Our convenient and compassionate injury-care protocols promote healing and an end to suffering. Contact us today for a same-day appointment!